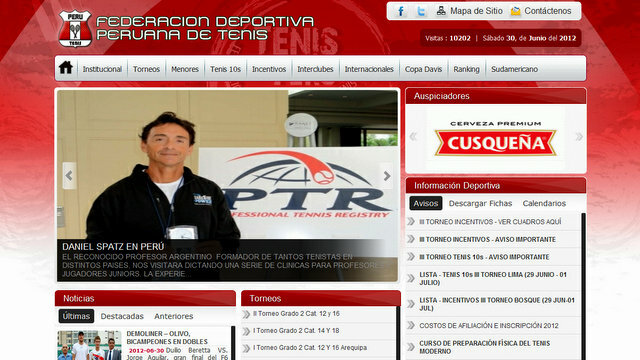 EL RECONOCIDO PROFESOR ARGENTINO FORMADOR DE TANTOS TENISTAS EN DISTINTOS PAISES, NOS VISITARA DICTANDO UNA SERIE DE CLINICAS PARA PROFESORES Y JUGADORES JUNIORS. LA EXPERIENCIA Y RESULTADOS OBTENIDOS POR SPATZ SON PRUEBA EFICIENTE DE TRABAJO SERIO Y CALIDAD DE TRABAJO ASEGURADA. • ESTRATEGIA Y TACTICAS PARA GANAR! DISFRUTE EL PLACER DE COMPARTIR A DANIEL SPATZ EN LA CANCHA, TODOS LOS SECRETOS DE SU TRABAJO FORMATIVO, TODA SU PASION Y AMOR POR EL DEPORTE BLANCO DIFICILES DE IGUALAR! Previous Post10 Winning Tactics from the BaselineNext PostPhoto Galleries Now Up!